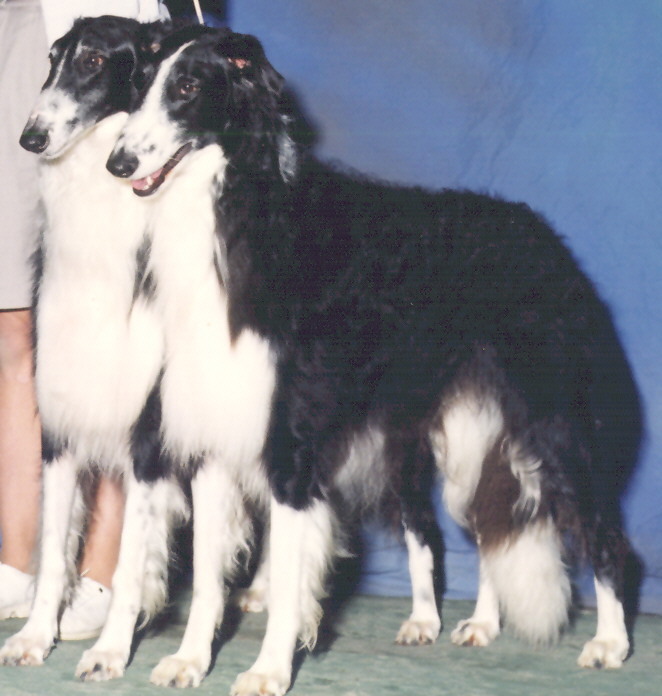 "Rocky" bred and co-owned by Ann Bowers, Klasyx & Lois Cooper, Chulista. Rocky also co-owned with Jane Dennis. There are 8 surviving puppies from the only breeding of Smokey to Rose. Out of that 8, five are AKC Champions, one is a Canadian Ch, and the other two are pointed, one just lacking three points to finish. There are four ASFA Field Champions, one AKC Field Champion with several on their way and at least three with AKC coursing titles of some sort.